Join a group of good samaritans who are doing their bit for the environment and volunteer for an afternoon of cleaning up of Singapore’s last surviving ‘kampung’-Pulau Ubin. It’s a kid friendly event, so families are most welcome to join. Post cleanup, head to the local brewery to hang out with other environment enthusiasts! How to get there? Be at Changi Village Ferry Terminal (Postcode 499172) at 1.30pm and take the ferry to be on time. What to bring? Get your own stuff – garbage bags, tongs or trash pickers and gloves. We will be providing a few bags and gloves. Carry your water bottles, sunscreen and insect repellant too! For more details, visit their FB event page. 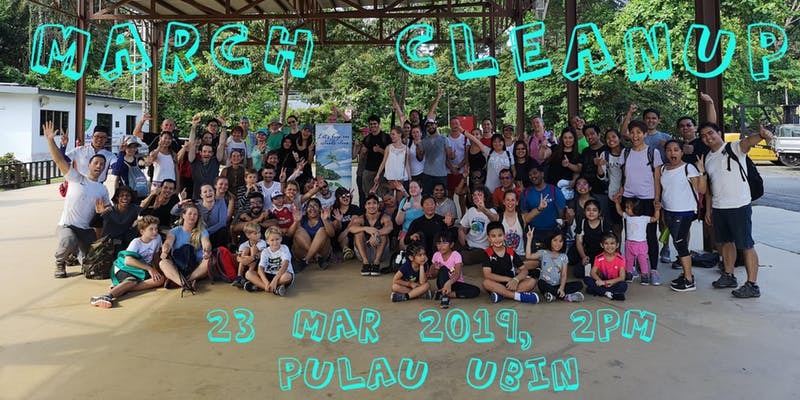 Pulau Ubin Cleanup, is a group of volunteers who have come together to have regular cleanup activities on Ubin Island with the goal of making it litter-free. Since the beginning of 2019, more than 200 people have volunteered and they have collected about 3800kg of trash!